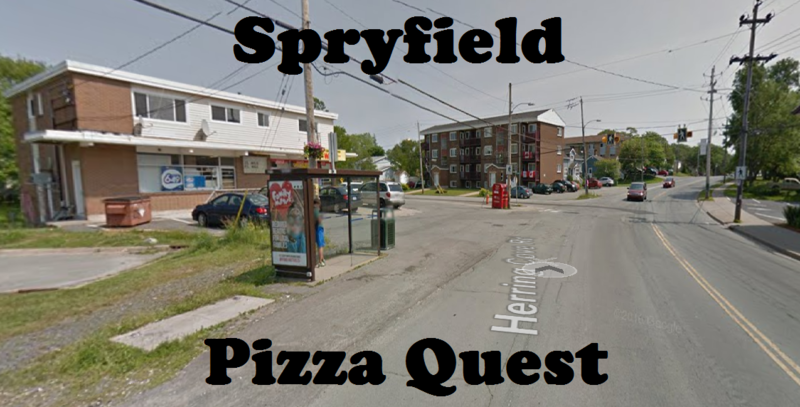 The long anticipated Spryfield Pizza Quest has finally been completed! Thanks to our hosts, Eva and Christian, who offered up their new abode for our Spryfield conquest. Excluded were Jessy’s and Alexandra’s, because we’ve previously sampled them with little to no enthusiasm, and Baba’s, which is closed on Sundays. 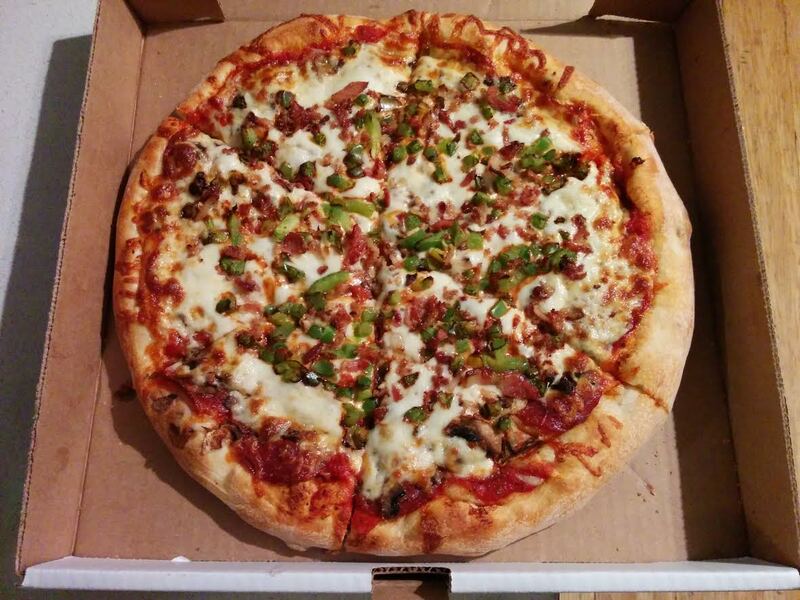 We ordered medium pizzas with green pepper, mushroom, pepperoni and bacon. These pizzas were judged by 7 attendees on their Sauce, Crust, Cheese, Toppings and Overall. Everyone was asked to pick their top 3 and a #1. 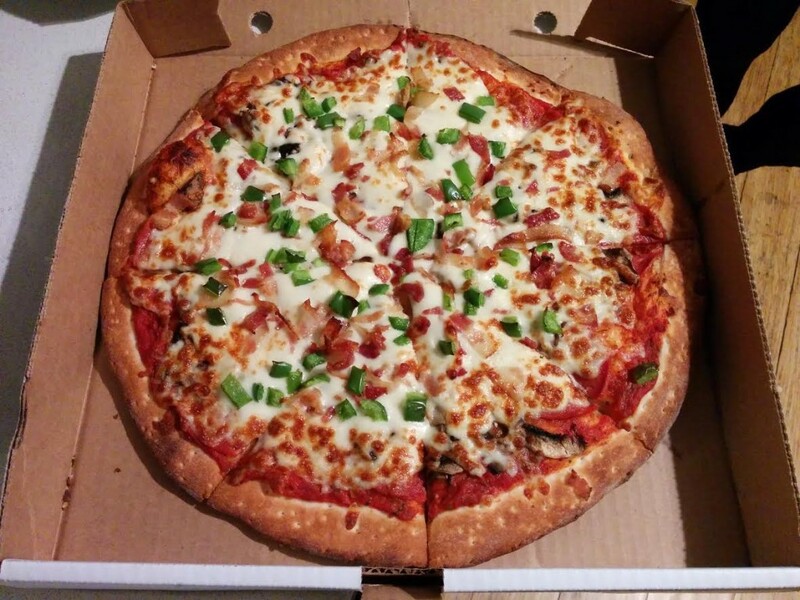 The Crust: The first thing I noticed about this pizza was the dark, pock-marked crust. Questers referred to the crust as “soft”, “undercooked”, “overcooked” and “boxed” (from a box?). There was also what I call a “pasty sauce-crust interface” which Christian described as a “sogged out crust”. *The Sauce (1st Place): Whereas the crust was Now We’re Cookin’s least favourable component, the sauce scored 1st place for its herbacious flavour. But it was noted that there wasn’t enough sauce. *The Cheese (1st Place): There was no lack of cheese. Now We’re Cookin’ scored 1st place for cheese, even if a couple of us thought there was too much cheese. It’s hard to mark a pizza down for having too much cheese, so mostly we didn’t. The Toppings: The cheese dwarfed the sauce and toppings, unfortunately. The bacon, if skimpy, was real bacon and there’s something to be said for that. Overall: Eva and Denton enjoyed this pizza the most, with mention of “good cheese synergy” and “great sauce flavour”. 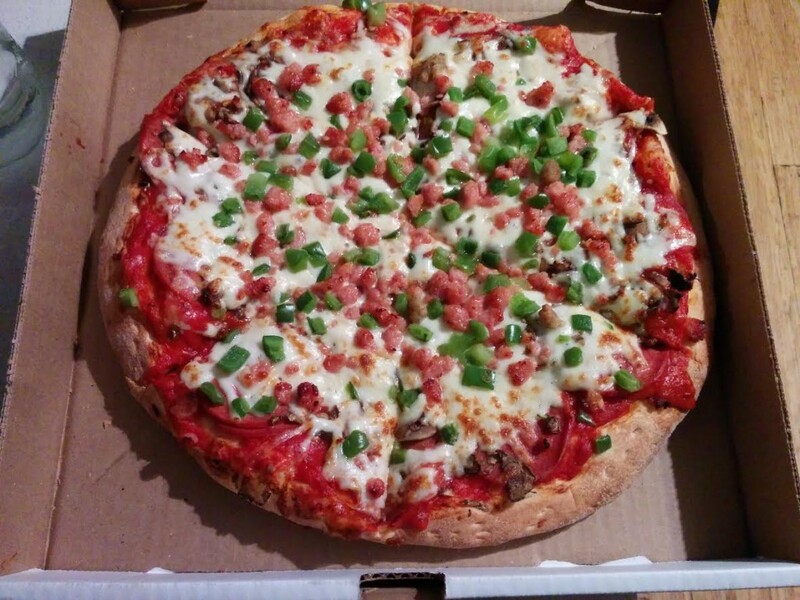 ReTales and I enjoyed this pizza the least; he even described it as “replicator food”. *The Crust (1st Place): Crystal Pizza was the only pizza of the night that appeared to be cooked in a stone oven. The crust was crispy and chewy – the way I like it. Denton and LA, on the other hand, don’t like this style of crust, but it still scored 1st place by quite a margin. The Sauce: Despite ranking 3rd, Christian felt the sauce had a weird flavour and my tasting notes mentioned that it was a bit tinny. The Cheese: The weakest link for this pizza was the cheese, which Eva claimed she could not taste. I also noticed that it didn’t reach the back of my slice. *The Toppings (2nd Place): The green peppers were diced too small, and Christian was quick to point out that they were conequently overcooked. Even so, four questers remarked on the mushroom flavour, and I agreed with ReTales that this pizza had the best mushroom presence. The bacon bits were real bacon, which is an automatic plus. Overall (1st Place): Those of us who liked the crust liked it a lot and those of us who love mushrooms appreciated the flavour. This pizza just had an overall good taste/texture experience. I felt I could just keep eating and eating this. Christian and Eva enjoyed this pizza the least, underwhelmed by the overcooked veg and lack of cheese. The Crust: We weren’t overly impressed with the crust, which was very soft and doughy. It ranked 3rd overall but with significantly less points than the top 2. *The Sauce (2nd Place): We could smell this pizza before we even opened the box, our olfactory senses bombarded by garlic. The sauce was extremely flavourful and opinions were divided. LA was its biggest fan, describing it as “bright” wheres ReTales was put off by its “perfumey” character. Eva thought the sauce was “too sweet”, whereas Denton found it “almost fishy”… in a good way. I just thought it was really garlicky and I liked that. The Cheese: Nobody commented on the cheese and it scored average points across the board. Didn’t stand out in a good or bad way. The Toppings: Here we encountered the dreaded bacon balls, which LuShark refuses to call bacon. She also failed to finish her first and only slice of this pizza because she was averted by “freezer burnt green peppers”. The rest of us weren’t as troubled as that, but Herring Cove did get the worst score for toppings. Overall: This pizza emerged out of its box a sloppy, smelly thing that was heavily liked and disliked. LA and Denton were its biggest fans but it didn’t impress enough questers for a strong finish. The Crust: Described as “chewy”, “doughy”, “soft” and “blah”/”mediocre”, Uncle Buck’s was not particularly favoured for this component. The Sauce: Uncle Buck’s received the lowest score for sauce but it got some props from LuShark and ReTales who liked its “tomatoey flavour”. People generally felt that it was pretty standard, except for Denton who described it as “sour”. *The Cheese (2nd Place – tie): Eva felt that Uncle Buck’s had “surprisingly good cheese”. Denton and Christian also gave it above average scores. The Toppings: Despite the use of those sketchy bacon balls, Uncle Buck’s actually got a decent score for toppings. ReTales and LuShark had good things to say about the green peppers, which lent a brightness in taste and appearance. Christian and ReTales both noted a sweet/bbq flavour to the pork balls. LuShark was impressed with the amount of toppings. Eva agreed but didn’t feel the quality was there. Overall: Denton wrote: “There’s lots of salt and cheese which provides greasy satisfaction; however the crust is medicore and the sauce is sour making it a weak finish.” I thought this pizza was a fine drunk/pizza corner-esque pizza. LuShark was the biggest fan of this pizza, giving above average scores for Sauce and Overall. *The Crust (2nd Place): The crust was favoured by several questers, particuarly those who enjoy soft crusts that aren’t chewy. Denton thought it was the best crust of the night. I agreed with LuShark that the crust was “dry and powdery” and with ReTales who said he would have liked it crispier. The Sauce: There aren’t many comments about the sauce except for a couple of tasting notes calling it “tangy” and “sweet”. Three questers gave it an above average score while the remaining 4 votes were split between average and poor. *The Cheese (2nd Place – tie): There was a good amount of cheese and scores largely favoured it as above average. 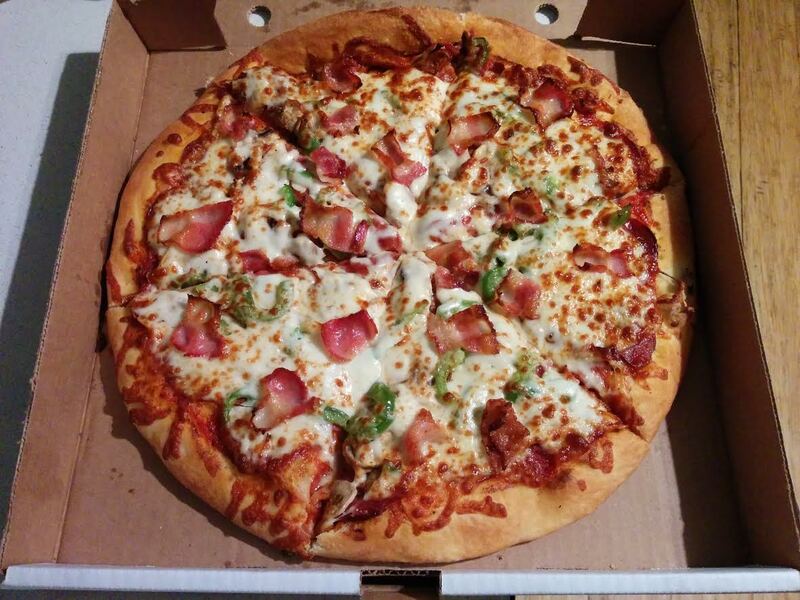 *The Toppings (1st Place): We admired the large squares of real bacon that dressed this pizza. 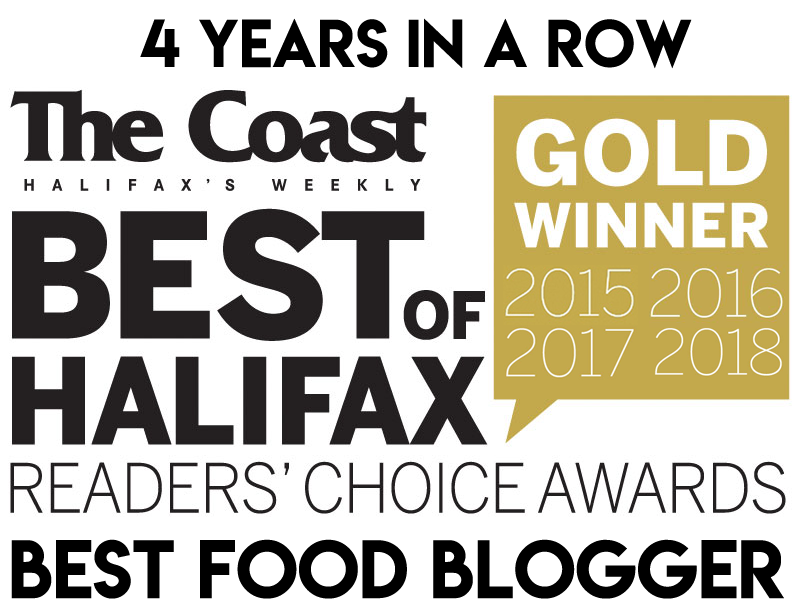 I thought there was adequate veggie goodness but ReTales found it lacking. LuShark despised the pepperoni, which she described as “spork with less seasoning” whereas ReTales thought it was “nice and spicy”. Weird. Eva and Christian were super impressed, giving Thornhill top scores for toppings. *Overall (2st Place): Christian and Eva felt that this was the most balanced pizza of the night, giving it top scores. 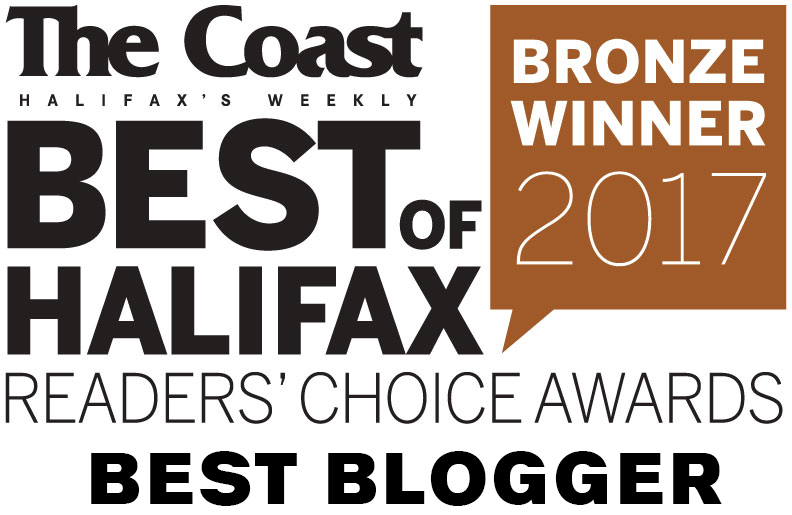 ReTales and I also gave it pretty solid scores; we were ecstatic about the bacon, content with the overall flavour and willing to overlook our reservations about the crust. Those who liked this pizza, liked it the best of the bunch. LuShark was its biggest critic, due to the pepperoni and crust. We were pleasantly surprised by this pizza quest. Every pizza made it on at least four of our Top 3 lists, meaning every pizza had its fans. It was a close race between Crystal and Thornhill, which scored considerably higher than the others, but there was no clear runner up. They were all perfectly acceptable pizzas but nothing particularly special. We were impressed with the use of real bacon in Spryfield (3/5 places used it) and the solid application of vegetables. I would readily order from Thornhill or Crystal again. 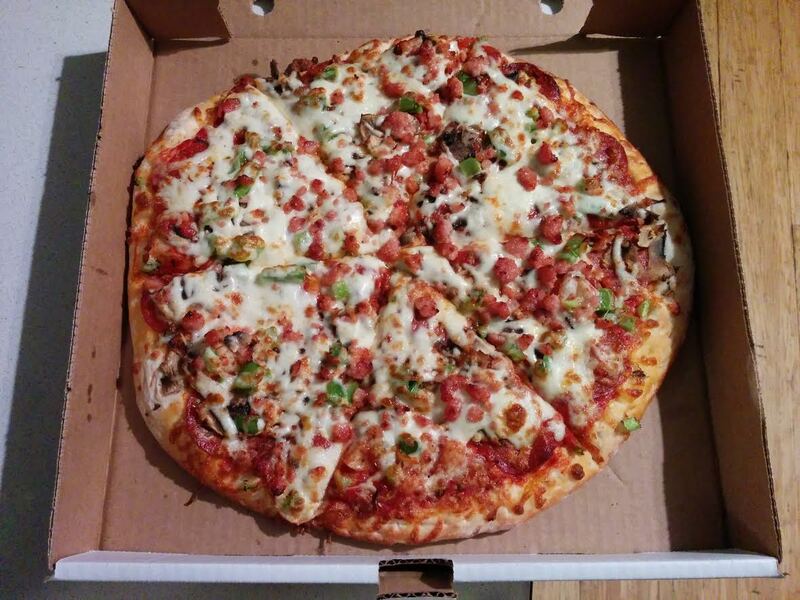 While not the #1 pick of the night, Uncle Buck’s was the cheapest at the door and we found it to be a satisfactory pizza with lots of cheese and fresh veggies. Now We’re Cookin’ was the cheapest pizza – but once delivery charges were added it was among the more expensive pies. A good value for pick-up. how did u sample the pizzas? was it done anonymously? did u know where the pizza came from at the time of each sampling? Hi there. Due to the nature of the quest it is not a blind sampling. However, none of us have any affiliation/bias or any reason to favor any one pizza over the other. Pizza shops are not notified of the quest and participants are not allowed to discuss their opinions until after the scoring is complete. Each participant gets a score sheet and scores are tallied on a spreadsheet at a later time. May I ask what concerns you so?